Obesity has grown into an all-encompassing epidemic across North America, and while children and adults struggle with this on a regular basis, the biggest obstacle people seem to be facing is ignorance. Arming America in the fight against obesity means taking action in educating the people on what they need to do to be healthy, keep their weight in check, and include proper nutrition in their daily lives. Of course, there is a large selection of self-help guides, diet books, exercise videos, and other tools to be used in the fight against obesity, but unless men and women understand why these practices work, nothing is going to stick in terms of a long term solution. For this reason, among others, the medical community has made it clear that humanity worldwide should educate themselves by not only by learning about proper nutrition, but also about how obesity affects the global population, and what can be done to reduce the number of children and adults who cross the line into being overweight. The World Wide Web has opened a number of doors for research, but not all resources are accurate, which means that men and women arming themselves against obesity must take some information with a grain of salt. The best way to prove your source when researching medical information is to take your knowledge from a government, educational institution, or approved medical website. 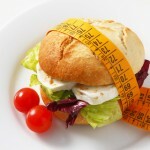 These sites offer the most up to date and in depth solutions on obesity, and the affects that it has on the population. Another more personal approach to finding an authority on obesity is to speak to a family doctor or professional certified nutritionist on ways to get your weight in check. By using resources with certification and medical degrees you are guaranteed that the information you are getting is legitimate, and not something a family friend or coworker read online, but aren’t completely certain about. Some of the most recent medical studies have been able to pinpoint a few of the reasons that some people struggle more with their weight than others, and one of these issues seems to stem from loss of sleep. A report which was presented by the Endocrine Society in San Diego, California this year suggested that as little as thirty minutes of sleep loss can have long term effects in terms of lowering metabolism and raising body weight. The study included 522 participants who kept sleep diaries which included how much each subject slept per week. The findings were quite surprising in that those who lost sleep by thirty minutes or more were 72% more likely to be obese. This particular study was led by Professor Shahrad Taheri, and the continuation of the research is now pointing towards the present of insulin resistance in those who slept less. Another report published in the Journal of BMJ suggested that exercise is not the key factor in the fight against obesity, but rather what is being put into your body. This study confirmed that carbohydrates and simple sugars are the culprit behind much of the weight gain worldwide, and that no number of hours on the treadmill can decrease the chances of obesity unless nutritional habits are also altered. This study was headed by Dr. Aseem Malhotra, a cardiologist from the United Kingdom, along with Professor Tim Noakes of the Sports Science Institute of South Africa. Apart from the inability for some to realize that obesity is even an issue, many people just aren’t willing to make the long term changes that are sometimes required to kick this health hazard to the curb. Whether it comes down to food intake or exercise, the changes that are made must be done on a permanent level, rather than a quick fix if long term results are desired. A major problem that many dieters have is that these nutritional changes are meant to take place for a short time period. By cutting out carbohydrates for two weeks, drinking smoothies rather than solid food for a month, or eating 6 meals a day for a short period of time, you can definitely change the way that your body looks and feels, but when you stop those changes and reform to previous eating habits, you will find the weight being piled back on. This can be particularly damaging to self-esteem and body image. To arm yourself in the fight against obesity, you must be willing to make a long term healthy living plan and stick to it. This often means that the results you see will be much slower, but they will also be longer lasting, and more impactful on your overall health. By creating a meal plan, an exercise regimen that fits your lifestyle and schedule, and keeping on track so that it becomes a permanent staple in your life, you can not only beat obesity, but encourage your loved ones to do the same. One of the saddest things to see in the fight against obesity is how it affects the children, who generally have no real say in how their nutrition and exercise are approached until they come of age to do so. This means that it is the responsibility of parents to take control of eating habits and activities so that children get the exercise they require on a regular basis. Including the family in meal times, restricting television and other electronics appliances and devices, and creating a time and space for outdoor or active behavior can increase a child’s health and reduce the risk of obesity. The way that children are raised when young will directly impact the way that they operate as adults. This means that to truly beat obesity, we must catch it in the younger generations, teach them what they need to know about winning this fight, and set them on the path to a successful and healthy lifestyle. Getting a family doctor or nutritionist involved can often help, especially when it comes to children, because hearing what they need to do from an outside resource can reinforce what you are teaching them at home. Be the first to comment on "Arming America In The Fight Against Obesity"